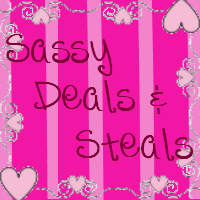 To celebrate getting 1,000 likes on Facebook Sassy Deals and Steals is giving away $100. Our lovely host are The Spaghetti Westerner , Stay a Stay at Home Mom, The Bunny's Review , The Guavalicious Life, and K is for Kechell. One lucky winner will win $100. The winner will be notified via email. No reply within 48 hours would make us choose another winner at random. Allow the rafflecopter widget below to load. Make sure you complete all the tasks to maximize your chances. Disclosure: I was not compensated for this publication. All views are my own and may differ to than that of yours. Our Delightful Home is not responsible for the prize fulfillment.